Brand identity development and website design for high-end residential community. Set against the rolling hills of the Wild Basin Preserve and accompanied by its own ten-acre greenbelt, a new paradigm of estates is emerging in Westlake's newest neighborhood. Scenic View, a 75-acre community of 20 multi-million dollar lots, offers potential owners the chance to build their dream home surrounded by nature. In need of an agency with expertise in luxury real estate marketing, Moreland Properties looked to MODintelechy to develop a digital presence, as well as marketing collateral and site signage for the up and coming community. 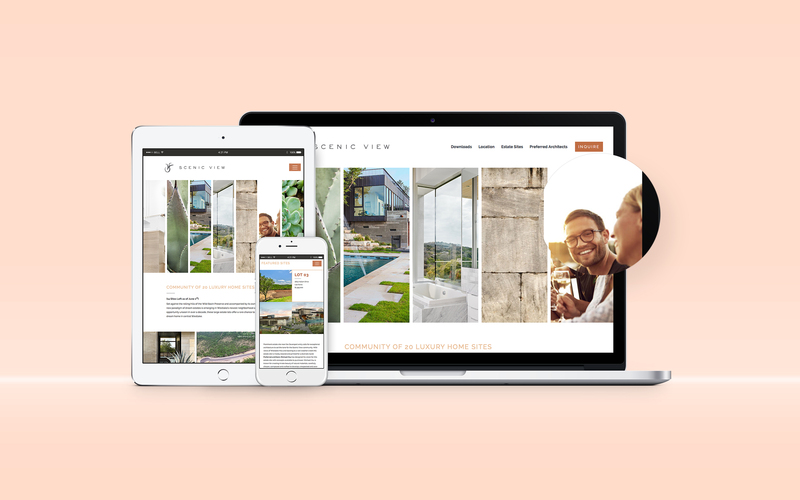 To promote the exclusive ownership opportunity that Scenic View represents, our creative team crafted a website inspired by the high-end architectural photography from the project’s hand-selected architects, Michael Hsu, Jauregui, and Shiflet Group Architects. Drawing inspiration from the lush greenery of the Wild Basin Preserve, as well as the textural elements of the landscape, we designed a modern, yet simple, site with a natural color palette. Our web development team coded the site with a custom designed inquiry form that seamlessly integrated into Moreland’s CRM. To further boost brand awareness, we produced a multi-page marketing brochure which aligned with the overall website look, as well as directional and informational site signage. 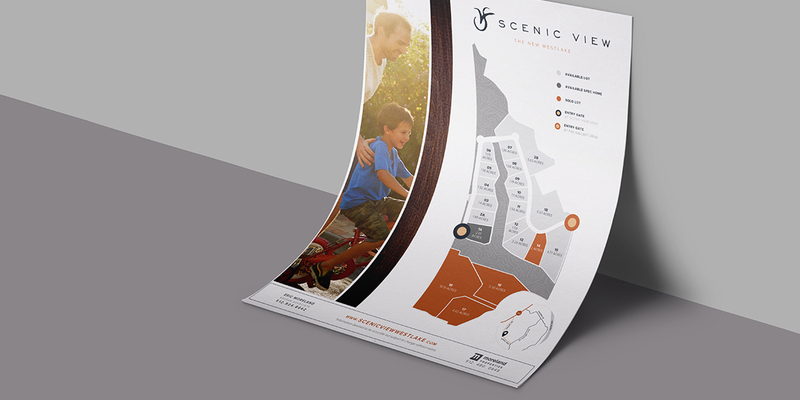 Additionally, our team created custom email marketing templates to drive digital traffic to the new Scenic View website. "Drawing inspiration from the lush greenery of the Wild Basin Preserve, as well as the textural elements of the landscape, we designed an incredibly modern, yet simple, site with a natural color palette." We established the ultra-luxury Scenic View community’s look and feel, boosting brand awareness, developing a digital presence, and generating tools to drive qualified marketing leads.